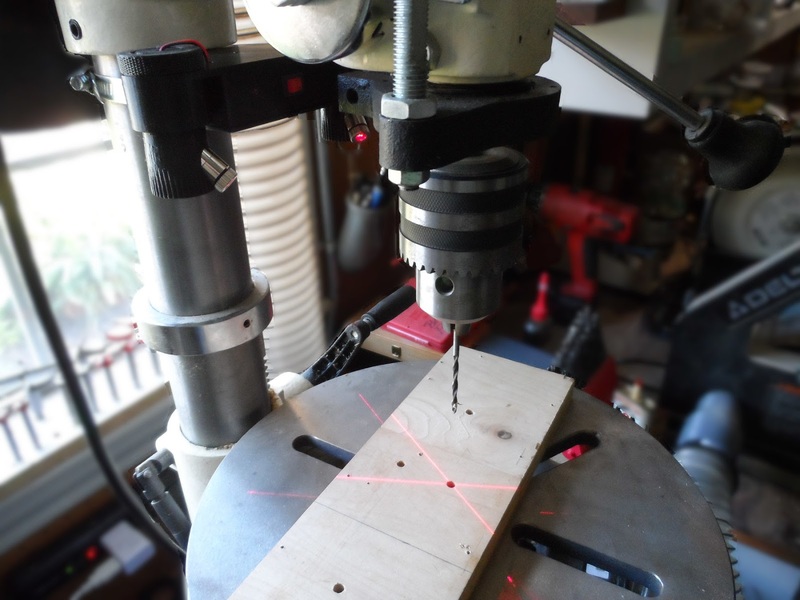 This a Laser Guide for my Drill Press which projects a cross-hair where the drill bit will contact the work piece. I designed this project in Fusion 360 and printed it on my Prusa MK3 3D Printer. Instructions for this project can be found at Drill Press Laser Guide. 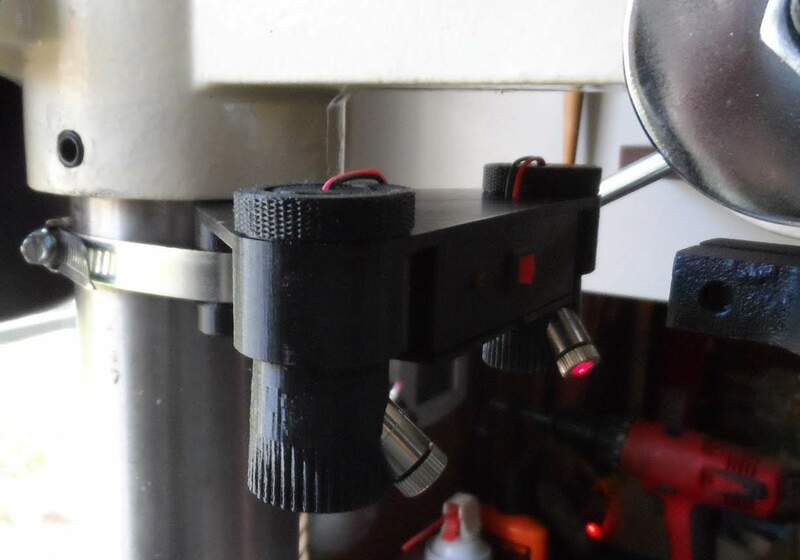 This project provides an inexpensive means of remotely performing a STOP (ALT+S) to Mach3. This is accomplished with a Raspberry Pi (RPi) + Camera connected to a PC via a USB cable. 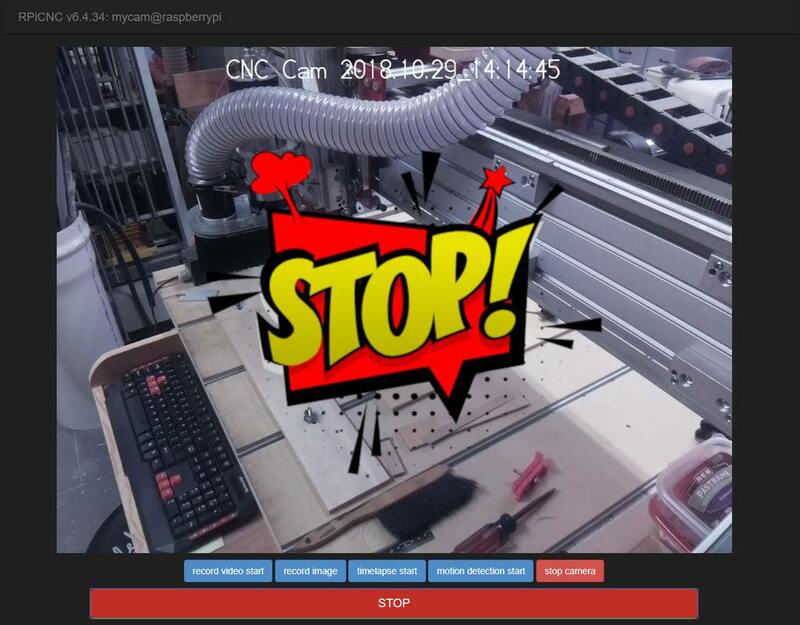 Monitoring and activating the STOP on the CNC is done with a video streaming web application running on the RPi. Using this solution should be done at your own risk. I highly recommend contacting the manufacturer of your CNC, and purchase and install the recommended remote emergency stop specified. Full instruction can be found at Remote CNC Stop and Monitor. Note: This is not the same as an Emergency Stop (EStop) wired into your CNC control panel, but the execution of a hotkey to perform a STOP of Mach3. Live Center with Collet Chuck and Drawbar holding a spindle. Instructions for this technique can be found at Woodturning Slender Spindles. 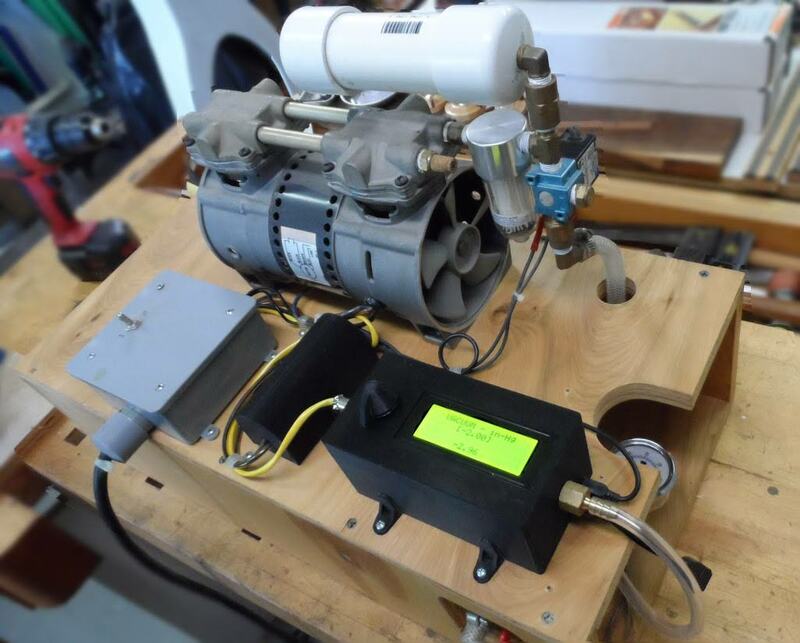 This is a Veneer Vacuum Press (Vacuum Pump) which has been modified with a Digital Vacuum Regulator to operate with a selectable vacuum pressure. This device is a replacement for the Vacuum Controller in my DIY Veneer Vacuum Press built with plans from VeneerSupplies.com or JoeWoodworking.com. These are great plans and the pumps operate very satisfactorily as designed. However, I'm a tinkerer, and I wanted to enhance my pump with the ability to easily and readily control the pressure settings (without a screw driver) over a wider range of pressures with a digitally controlled regulator. Instructions for the project can be found at Digital Vacuum Regulator on Instructables. attempted on my CNC Router. Spoons provided me a challenge to create a two sided project to practice and learn the skills necessary to attempt my Continuous Arm Windsor Chair Seat with CNC Router project. 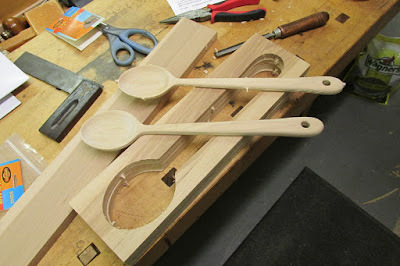 My first attempt at cutting out spoons was with 3D models purchased from TurboSquid, and proved to be satisfactory for my test purposes as well as practical cooking utensil. However, I wasn't satisfied with someone else's design, so I created my on with Blender. 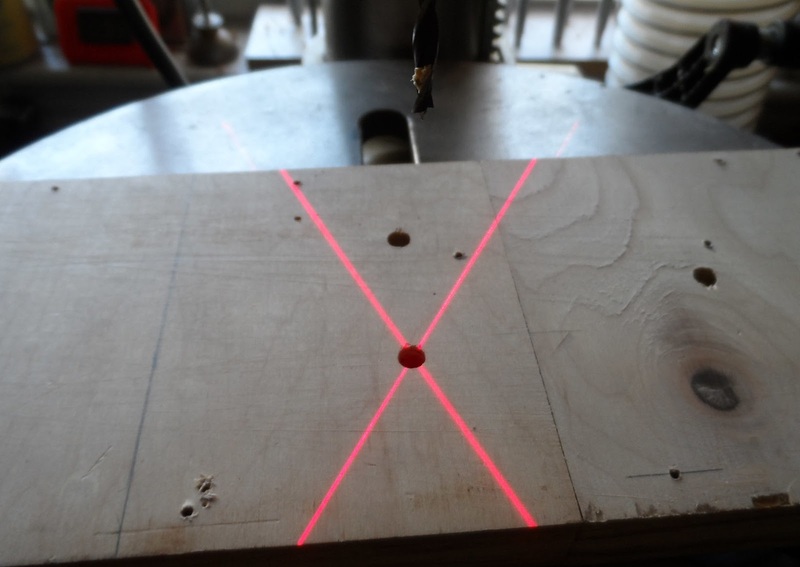 Details of this project can be seen at Digital Bandsaw Blade Tension Gauge at Instructables. Information about this gauge can also be found at BANDSAW TENSION GAUGE USES RASPBERRY PI AND LOAD CELL at Hackaday. 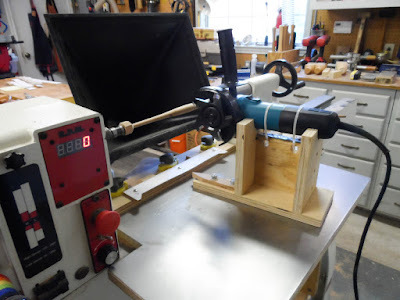 My version of a Lathe Duplicator was inspired by The Homestead Craftsman, and his video entitled Homemade Wood Lathe Duplicator using an Angle Grinder. The differences in the designs are the type of cutting blade, table top and pattern mounting method. 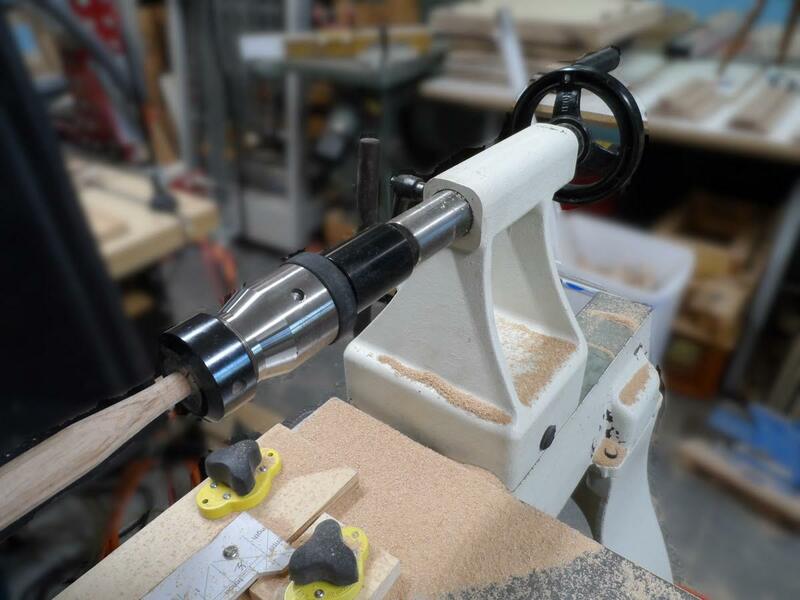 The goal of this design was to create turnings with finer detail and less clean-up, as well as adding versatility and adjustability to template mounting on the table top. Laminated 16ga steel table top and pattern secured with Magswitch Model 150 magnets. The angle grinder has a Viel Tools Model D-15-80-5 Carbide Cutter. Instructions for building this duplicator can be found at Wood Lathe Duplicator with Angle Grinder. WARNING! - Read and follow all manufacturer instructions, and use this Lathe Duplicator at your own risk. 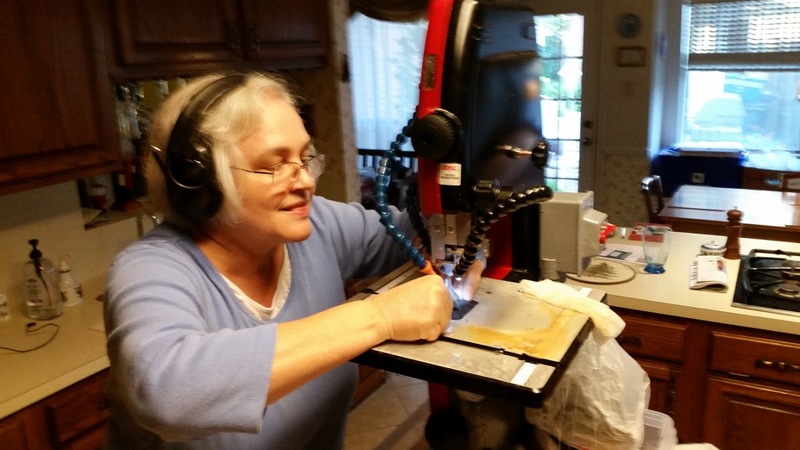 Converting a SKIL Model #3386-01 9" Band Saw into a wet cutting lapidary band saw for cutting rocks and glass. © 2010-2015 Stephen Kirby. Powered by Blogger.